Perfect for an active lifestyle, the Incase Sports Armband is crafted for complete functionality and protection of your iPod touch. Its clear cover gives you full access to the iPod screen and controls. 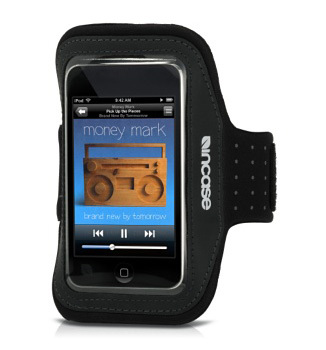 Constructed of lightweight, washable neoprene and reflective materials, the adjustable Incase Sports Armband is the functional and secure way to carry the iPod touch during your run or workout. The heavy-duty Velcro adjustment provides for a universal fit, while the clear cover allows convenient access to the widescreen display and all controls.